Apple and “iGadget” fans will have a lot to talk about on Tuesday as the company has scheduled an event but isn’t saying what it is. More than likely, they are announcing the new “iPad mini”…a smaller version of the regular iPad that has been talked about for about a year now. The iPad mini will reportedly be about 3-inches smaller than the regular iPads and sell for about $200 less than the 3rd Generation iPad which starts at $499. This release will be just in time for Christmas! 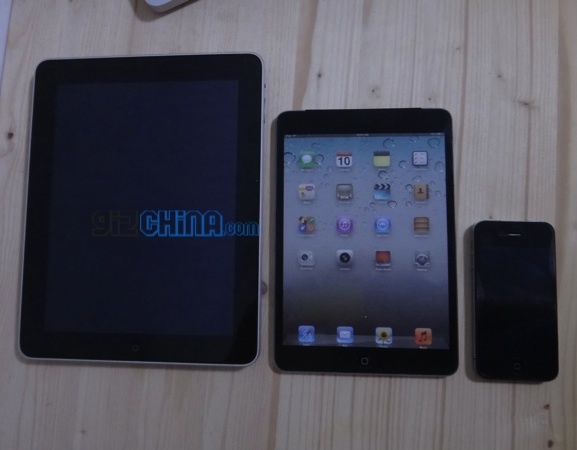 Apparently, Apple has discussed the smaller iPad for several years. Steve Jobs was once against creating a smaller tablet even as competitors were starting to push them out. But, before his death, recently released emails between executives and Job show that he had changed his mind. The question is, will you spend even $299 for a tablet that is 3-inches smaller? Think about what people are spending for the iPhone 5. If they are willing to spend more than $599 for a smaller phone, this might look appealing. What do you think? Let me know here or on our Facebook page or Google+ page!